Amazon Affiliate Site (WP Zon Builder version) in great ElegantThemes DailyNotes theme! | Best Amazon Affiliate Themes And Plugins Ever Seen! Home » Great ET DailyNotes theme! 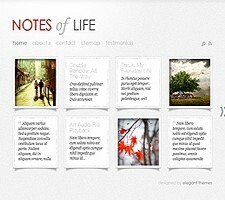 Make it simple to create and maintain a great site with Outstanding DailyNotes Theme now! DailyNotes theme have been perfectly adapted and optimized to work with WP Zon Builder! Manual Posting supported as well! Yes! DailyNotes theme have a fully customisable sidebar just like a regular blog. You can add whatever you like.